As usual when I teach, I hope my students learn as much from me as I do from them. Last week, the first draft of their essays was due. Most of these kids are either in a home-stay situation or in a dorm, neither of which allows much access to a printer, so they ran to the computer center at school to print out their essays. However, a few of the students had their essays ready, so I asked them about their method of printing. It turns out that the convenience stores, which are omnipresent in Tokyo, have a system called NetPrint. The first step is to pick your favorite brand of convenience store – most likely the one closest to your house. Then go on their website, which will be only in Japanese, to sign up for a NetPrint account. Once you are signed up, you can upload whatever type of document you want to the site and in return, you will get a confirmation ID. Then you can go to any convenience store at which you have signed up for an account. So if you’ve signed up for the Lawsons account because it’s closest to your house, you can use the Lawsons store right by your office or school as well. It’s only one program for every branch of the shop. The NetPrint machines in the shops often speak a little English on their touch-screens. All you have to do is enter your confirmation number and the document you’ve uploaded will print. You can’t edit from the convenience store machine, but you can change some formatting. If you don’t upload the document, but have it on a USB key in PDF format, that’s okay too. You can’t print a .doc or .xls, but you can print a PDF from the key. You pay right at the machine, inserting coins as needed. It’s 10 yen ($.10) per page for black and white, 20 yen ($.20) per page for color. To my students, I say sorry – no more excuses for an unprinted essay. To everyone else, I say, geez, I love this city. What a system! Writing has been part of my life since I could first use a pencil and left scraps of paper all over my grandmother’s house – my “notes” – when I visited. She said that from the time I was about six years old, cleaning up after I had spent time with her was entertaining. She never wondered what was on my mind – I wrote everything down. I planned on being a writer all the way through college and graduate school when I realized that I needed a day job to pay the bills. I resisted teaching for a long while because it was sort of my “family business” – Mom still teaches elementary school (finishing her 46th classroom! ), my father was on the board of education for years, my uncle teaches law, another uncle was the vice-chancellor of a big university, and even my grandmother was assistant superintendent of schools in a system in Connecticut when I was little. I didn’t want any part of it. I tried advertising, public relations and even a computer firm until I finally caved in and got a doctorate in English education and started teaching writing on the college level. As any woman knows, balancing the demands and rewards of work and family is no easy feat. When our family moved to Japan, I was lucky enough to find part time work at Temple University where I could teach two courses a semester and still have plenty of time to not only be a participatory mother, but even volunteer in the kids’ schools and never miss an event. Adjunct teaching isn’t for everyone, but I was lucky enough to have a husband with a steady job so my career didn’t have to be primary and I could focus on the kids. Babies tend to do this funny thing: they grow. A lot. Quickly. Though it seems like only seconds ago I walked down a street holding the hands of a toddler and a kindergartener, my current reality has one child graduating from middle school and the other graduating from elementary school. Yep, in a few short months I will be the parent of a high schooler and middle schooler. More often than not, the kids are busy after school these days and not home until close to dinner time. I don’t always have to go with them to these activities because many of them are associated with the school and they have busing. So that leads me to the question of what I’m going to do next. It’s an interesting question for any woman at any time, but in Japan, where I’m a trailing spouse, sometimes the issues seem insurmountable. I don’t speak or read the language, and most Japanese companies don’t want a foreigner working for them anyway. In addition, with my children’s school schedules, I want to be able to take them to the US for a long summer holiday so they can reconnect with our extended family and American roots. I can’t take just any full time job, so the Temple University position, for just two semesters a year, is ideal. Luckily, as a writer I have a lot of other options too. 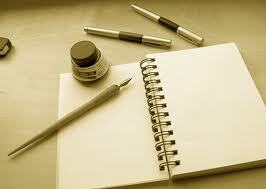 There are blog posts to read and write, contests to enter, and even English-language magazines for which to write. I’ll do another posting on writing vs. editing and the challenges therein, but this leads me to another point – focus. I can’t do everything. I have to pick what it is that’s important to me and focus on those things, otherwise I’ll do many things and none of them very well or successfully. So now it’s time to raise the bar and figure out what it is that will claim my focus going forward. Teaching will hopefully be part of the equation, but what I choose to write and how I choose to organize my time in the next few months remains to be seen. I am lucky that I have two passions: writing and teaching writing. For the past four years, I pursued just the writing and I wasn’t teaching at all. Some people claimed it was a waste of a good doctorate, but I didn’t care – I just worked on my freelance career and a whole lot of fiction. Last year around this time, I decided to pursue an advertisement in a local magazine for a writing (English) teacher at a local international high school. It’s important to note that it’s an international school, because it’s not primarily Japanese and it runs on an American calendar, not a Japanese one that begins in mid-April. If I am going to work outside the home, I need to make sure that it doesn’t affect the kids in any real way, and part of the kids’ lives – and mine – is a long summer in the U.S. with family and friends. Well, I got the job. It seemed perfect – just mornings and though it was every day, I’d be done by 11:30am. Of course when you have a job is when it’s easiest to get a job, and I got an email from Temple University (there is a Tokyo branch of the Philadelphia school!) that they needed adjunct instructors. I had worked there in the past and loved it – it was an opportunity that I just couldn’t pass up. Well, autumn came and I started teaching every morning and two afternoons a week for only 2 hours. It was busy, but I could do it. Then I found out that two courses were available to me if I wanted them at Temple, starting from January. So since January, I’ve been teaching at the high school every morning and then three afternoons a week, I teach at Temple from 12-5. Between actual face-time with students and prep work, things have been more than slightly out of control. House stuff has been shunted aside. I haven’t been fully present for the kids in the evenings because I’m constantly thinking about something else. And our healthy eating habits have been slipping. But here’s the worst effect: I haven’t been writing. I have been pretty good about the blog and my writing for “A Hopeful Sign” but other than that, nothing. I haven’t written an article in months and not a single word of fiction. I miss it so much! I have characters running around in my head with nowhere to go. I have article ideas and no time to pitch them to potential editors. My time has been just that limited. The good news is that the university classes end in just over a week. I still have grading to do, which will take about a week, but right away my time will be my own in the afternoons. And I’ve decided to give up the high school completely. It’s not fair to our lives for me to work every day – other things really slip through the cracks. A few times a week is perfect. Of course, Temple is having enrollment issues, and there might not be classes for me to teach, but I’ll be okay with whatever they have. So after the long summer break, I will come back to a modified schedule. I can’t wait to start writing again after next week. I wonder what I’ll do first. Articles? Fiction? Creative nonfiction? Who knows! All I knew is that I will have the time to write again and I will be overjoyed. I miss it madly now and can’t wait to re-start. I’ve learned a lot of lessons this school year and hopefully some of them stick. The best part is the clarity I have on what balance looks like for me. Balance doesn’t look the same for every person and every person has to find it for himself, but for me, balance has more writing and less teaching in it. The knowledge is power. Onward ho! Recently a lot of the writing I have done has been for school. I am teaching freshman composition at Temple University’s Japan campus, but I am also teaching at The International Secondary School (ISS) part time in the mornings. I teach one class of 7th grade English, one class of 8th grade English, and then one class of Multicultural literature for 12th graders. Trust me when I tell you that it is never boring. This is the end of the first marking period and right now I have just finished writing report card comments, the first I have ever done in my life. Wow, what a challenge! As a parent myself, I know what those comments mean. Parents search within them for clues to how their child is really doing, regardless of their grade. If the grade is low, they search for reasons why. If the grade is high, they lap up the positive comments like a parched animal. Every word is subject to interpretation and therefore, misinterpretation. The key is to make the comments nuanced enough so the parent can understand what the concerns are with their child, without being outright negative. No one wants to believe something bad about their own child, and bad news is difficult to deliver. Even good comments have to be phrased in such a way that is cautiously optimistic, lest the parent think that the child is fault-free. It took me a long time to craft the right message to the parent about the kids. It is a whole different type of writing than that to which I am accustomed. I’m not saying that it was a bad experience; just different. How’s that for nuance? My son, Bailey, except for first and second grades in a traditional American school in the U.S., has spent the majority of his schooling life in a Montessori classroom – even for preschool and kindergarten. He’s a textbook Montessori child – curious, self-motivated, and interested in a variety of subjects. Last June, he graduated from the fantastic school which he had been attending for the prior four years and we decided to send him to the big American School here in Japan – literally called The American School in Japan (ASIJ), which is an hour outside the city, in Chofu. The school runs many buses from downtown, but it has to be located out there in order to have the facilities (read: for sports) that an American school requires. All of the parents worry about the bus ride, but the kids actually like it. It’s like an hour-long playdate before and after school. Montessori method is quite different from a traditional learning environment. It’s more individualized, child-centered, and independent. Children stay in the same classroom ideally with the same teacher for three years, and Bailey got one extra year out of his wonderful teacher because she moved classrooms with him. So he had the same teacher for four years. The classrooms are mixed age, and often older children teach younger ones because you never learn something so well as when you teach it to others. Montessori method also does not require homework or testing, feeling that the children work hard enough in school, and work to master concepts innately, so they do not have to assess the progress – it’s apparent. 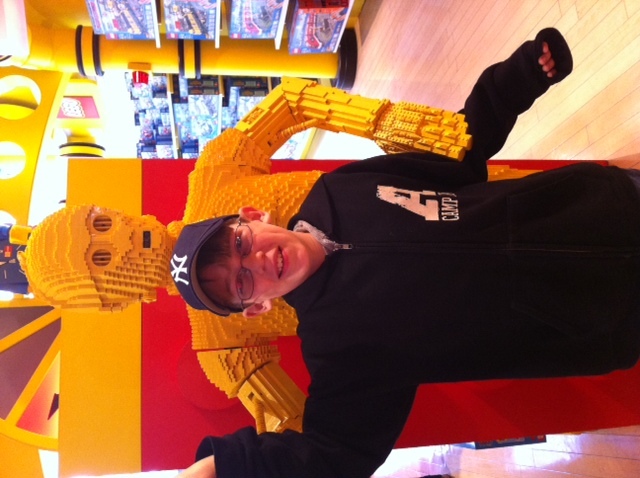 We loved it for Bailey – it was perfect for his style of learning. But he has done quite well transitioning to the American school too – where in the middle school, he has not only one new teacher, but seven. It’s a big place and he has to use a locker, a gym locker, and a music locker for his violin. He’s enjoying it. But there has been one stand-out consequence of the transition that we have just realized, in the fourth week of school. Bailey has never had to study for or take a test. He had a math assessment last week and he did not tell us about it beforehand. He did okay – 80%, but not stellar. He was disappointed with himself. “Well, did you study, Bailey?” I asked. “There’s more to it than simple understanding.” This statement floored him. In the past, if he understood, it was great – he could move forward with the next thing. So my husband and I sat down with Bailey and literally showed him how to study. It’s not enough to understand – you have to understand, take in the material, memorize it – own it – and then be able to regurgitate it in the proper format for the teacher. We talked about various methods of studying. Some people write to learn, some people say things out loud, some people can learn by staring at the book and then asking someone to “test” them, but most work in a combination of methods, depending on the class and the type of material. which he needed to study. My husband, Marc, and I agreed – it is hard! And time-consuming, to boot. Grudgingly he put in the time to write out the material he needed to learn for the health test, and then Marc tested his knowledge. Miraculously he did very well on the test! “That studying thing really works, Mom,” he said, pleased with himself. “Gee, ya think, Bailey?” I teased. The whole thing was wildly interesting to Marc and me – knowing how take a test and study is one of those things we take for granted. I don’t remember “learning” it per se. And now Bailey will always know it as he works on what methodology is good for him personally. Onward and upward on this journey! 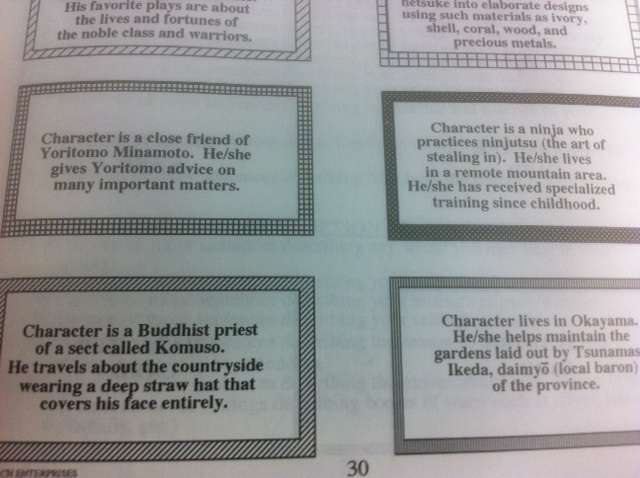 A fellow teacher gave me a book a few weeks ago titled, Story Starters on Ancient Japan. She is the middle school humanities/history teacher at ISS, and I am the writing teacher. She thought we could collaborate – I would teach the eighth graders to write a story, and she would bolster the content. It seemed like a grand idea. The book goes through a series of steps to writing a narrative – just like I would teach my kids. First, create a character and get to know him as well as you know yourself. Figure out his name, how he looks, what he does – everything about him. Then, figure out where he is – at home, at work, in a garden – anywhere. And then give him action – a plot. We need an introduction, rising action, climax, falling action and a resolution. 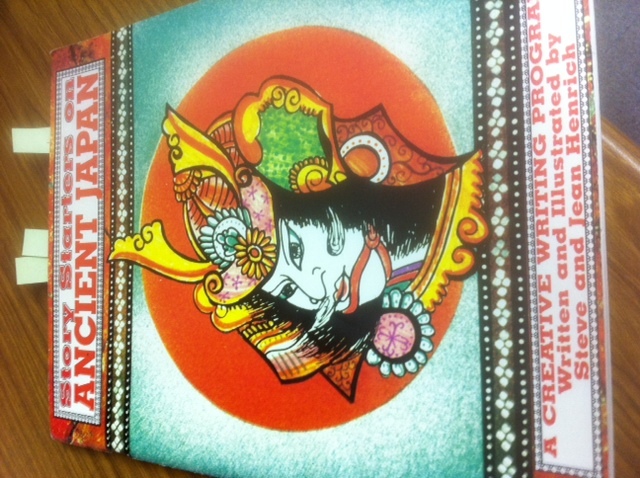 Because it focuses on ancient Japan, it gives examples in that vein. It lists details about shoguns, samurai, geisha and other ancient Japanese stereotypical people. The settings involve shrines, battlefields, or music halls. The plots involve intrigue and battles and the occasional espionage. On Monday, I enlisted the help of my children and I actually photocopied the pages onto card stock and cut out to create the character, setting, and plot cards. Then on Tuesday, in my eighth grade class, I threw them across the table, telling them to choose – match them up – and create the bones of a story. Well, the students ate it up! They found a cool guy, put him in a weird spot, and made him do radical stuff – as they said. I just sat back and watched as they were off and running. The process is going to take the better part of this week as they create the outline of what they want to accomplish – and then next week they can start drafting. It’s a purely methodical way to write a story – matching ideas until they come out whole as the story in your head. But whatever works for these kids is what I’m going to try. And then, lo and behold, I am going to put together a few story cards of my own; stack a deck, if you will. Because my own writing could use a little kick. A formula might be just the push I need. I met with my writing group earlier this week, and as always, they give me excellent suggestions on what to do with my manuscript. I am working on a novel, my second (though the first has yet to be published), and I am determined to whip it into saleable shape. The main advice the group had for me was to take the character and really make the chapter *hers*. Don’t just use her as a device to open the book – bring out her story. I stewed on that for the afternoon and evening before sleeping. I think I even dreamed about the character – someone who I know so well that she could walk into a room and I would recognize her. I didn’t work on it all the next day, preferring to let it lie. Then, at school two days later, I gave a lesson to my 8th graders on CPR. This is not the usual type of CPR, however; this is writing CPR. No, I’m not trying to resuscitate my manuscript. I am talking about character-problem-resolution. In class, we did an exercise where we devised a character – Susan, who is new in town. The students had to work on the problem and solution. They came up with Susan being lonely, and the resolution was taking walks around the city until she got to know it and ultimately met people. Of course, being middle-schoolers, there were some pretty gross and frightening iterations of that scenario that I will not share here. Since today is my long day of teaching, I’ll have to see if my character and I have time to talk this evening, or if we should wait until tomorrow to converse. But now I’m so excited about the whole thing. This is the first intersection of my teaching and my writing, but rest assured, it will not be the last.